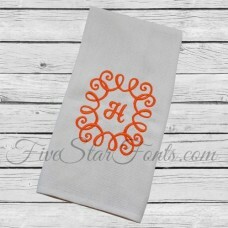 EXCLUSIVE Five Star Fonts design! 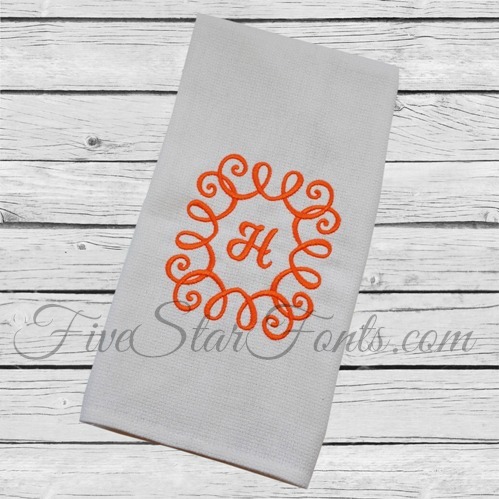 Perfect for stitching towels, hats, napkins, placemats or anything else you need a pretty monogram frame for. Design Idea - use the 3 inch on napkin corners and the 4 or 5 inch on placemats. Perfect table setting!